The Crazyflie and Railway demos took centre stage at our recent AdaCore Tech Day. Both use our Ada Development Environment for Bare Board ARM Cortex and are a great example of how our software can be used in practice by hobbyists and industry experts, alike. 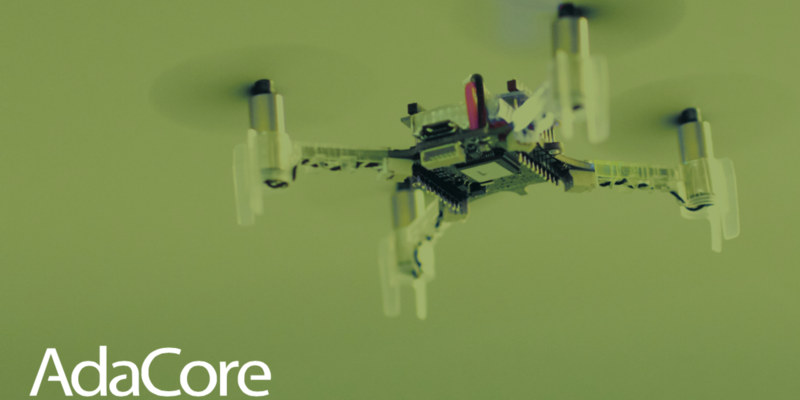 A recent project rewrote the software of the Crazyflie 2.0 in Ada and SPARK with the aim of using formal methods to prove the absence of runtime errors within the stabilization system. A new feature was also added to help prevent drone crashes. The rewriting was successfully completed by an intern without any previous Ada nor formal methods experience within five months. Our demo is now flying with a firmware 100% written in Ada and SPARK. We look forward to sharing our experiences and expertise with other hardware and software users from the wider embedded community at ARM TechCon 2015, Santa Clara. Come and find us in booth 217, 10-12 November 2015, we'd love to provide more details on our plans for ARM! The following week we will be among 1,100 exhibitors welcoming nearly 26,000 key global aviation contacts to the NBAA Conference 2015 in Las Vegas. We are passionate about developing safe and secure embedded software for use within the aviation industry and our experts will be on hand in booth C13749 to answer any questions that you may have.